Pay a visit to Pura Goa Lawah! Have you been to Pura Goa Lawah? If not, you should take the time to travel there because in addition to inner calm with a visit to a religious tourist sites, there are also natural scenery in a very indulgent eye. 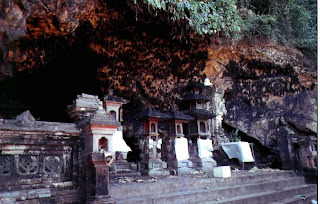 Pura Goa Lawah is a temple located in the village of Bat Cave Pesinggahan, Dawan sub district. You can be sure that when you are about to go to Candikasi, it will pass the Pura Goa Lawah. 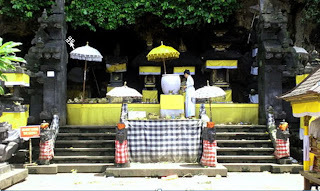 Its location very strategic because of located between regency Klungkung and Karangasem. Pura Goa Lawah temple complex itself is a fairly broad and is in the left side of the road if you're heading to Karangasem and is directly opposite the beach with black sand. Pura Goa Lawah is one of the nine Pura Sad Khayangan. When you enter this temple, it will immediately be greeted by two large banyan tree in a park area is quite spacious and very well maintained. Then go to the middle of the room, it will be found three pieces bale in three complex angles. Bale or open building that has no roof, usually used to prepare offerings or place for the ensemble to play their various instruments. 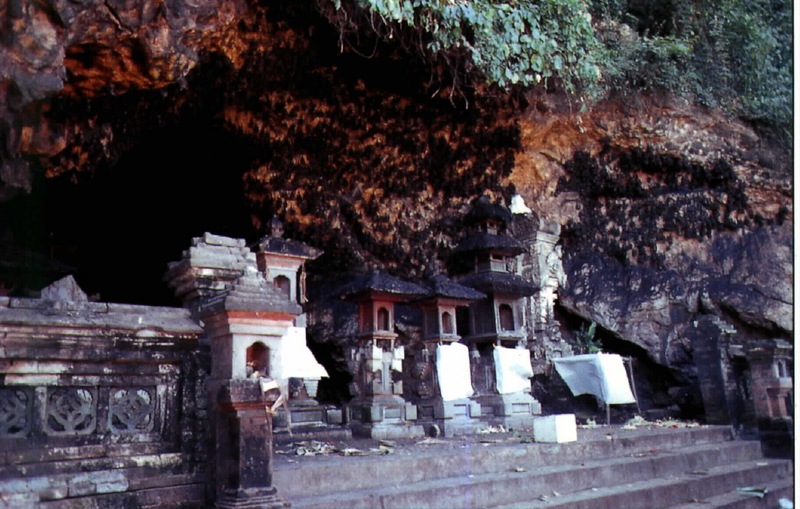 If you already Maduk in part middle of the, then certainly that the visitors not will see the pura big but rather pura an old and certainly a cave which filled with bats which is called with Bat Cave. In the middle section there is also a Shiva temple which has been worshiped since around the year 1000 BC. There is also paintings Naga Basuki in a bale which reputedly believed that the the dragon's capable of maintain balance the earth. Someone once said that a prince of Mengwi been hiding in the cave with the intention to cover the cave tunnel and follow the path that appears in the Pura Besakih on the slopes of Mount Agung. 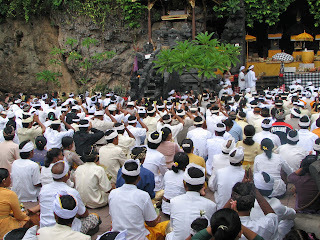 Activities kagamaan takes place every day at Pura Goa Lawah. People living around the temple carrying offerings to the temple every morning, afternoon, and evening. Hence the temple is well taken care of. More a lot of pilgrims come at the time of full moon. 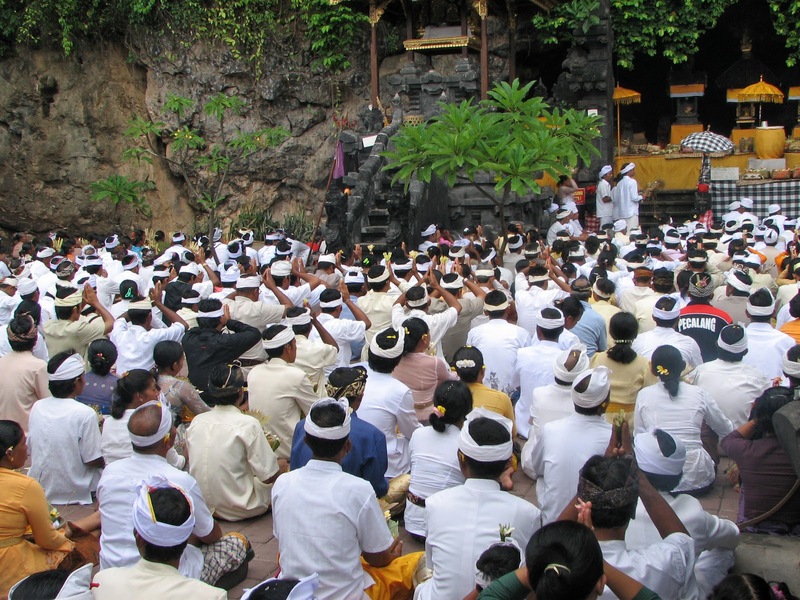 And also before major holidays such as Nyepi, Hindus from nearby villages Melasti ritual. Melasti is a ritual when people walk away from the temple to the sea in a procession carrying sacred objects to be cleansed in the ocean.